Earlier this month I attended my husband Bruce’s 40th (!) reunion at Cherry Creek High School in suburban Denver and got to spend some time in the Rocky Mountains that my husband adores. 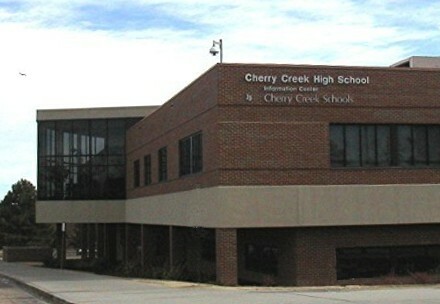 You can receive an excellent education at Cherry Creek High School, which was a magnet for affluent families 40 years ago and it still is today. As part of the reunion, Bruce and I toured the sprawling campus. The resources that the students attending this school enjoy are mind-boggling. Cherry Creek, like other high schools for well-off children, can be a pressure cooker for teenagers who are aiming for the most highly ranked schools. One mom, for instance, told me that some freshmen at Cherry Creek are starting high school taking Calculus! It wasn’t long ago that it was considered unusual for freshmen to enroll in honors pre-calculus and now that’s much more common. These overachievers are taking private math classes in the summer so they can vault ahead of their peers as they start high school. I imagine that there is little chance that the parents of these children will let them relax for the next four years. Or at least until their college applications are submitted. At the reunion, I met a lot of successful alums at the picnic and the cocktail party later in the evening. Included among the Cherry Creek grads of 1973 were lawyers, doctors, a successful Hollywood executive producer, a state insurance commissioner, a vet, a foundation president, engineers and a guy who is on Forbes’ list of the wealthiest people. 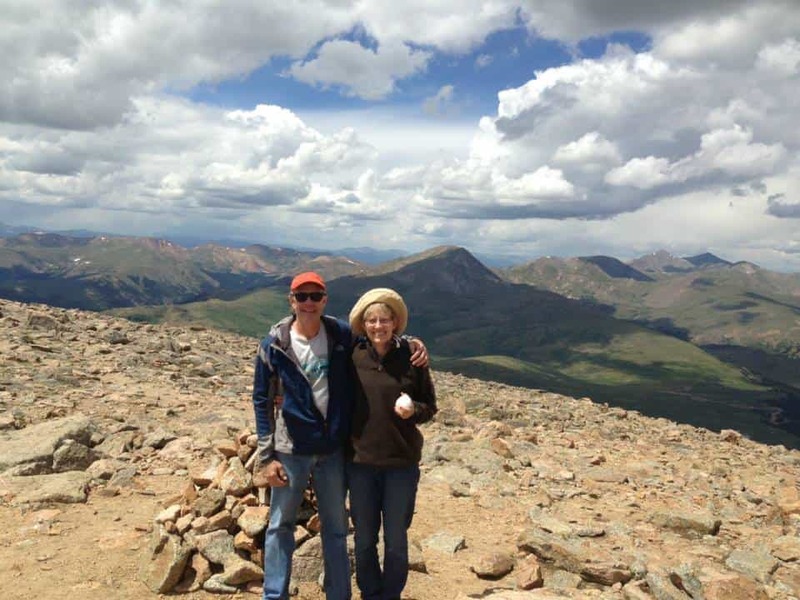 My husband, who spent much of his childhood hiking, sailing, fishing and skiing in the mountains, convinced me to hike a “Fourteener” with him. There are 53 mountains in the state of Colorado that qualify as Fourteeners and just over 80 in the entire U.S. They are all at least 14,000 feet. 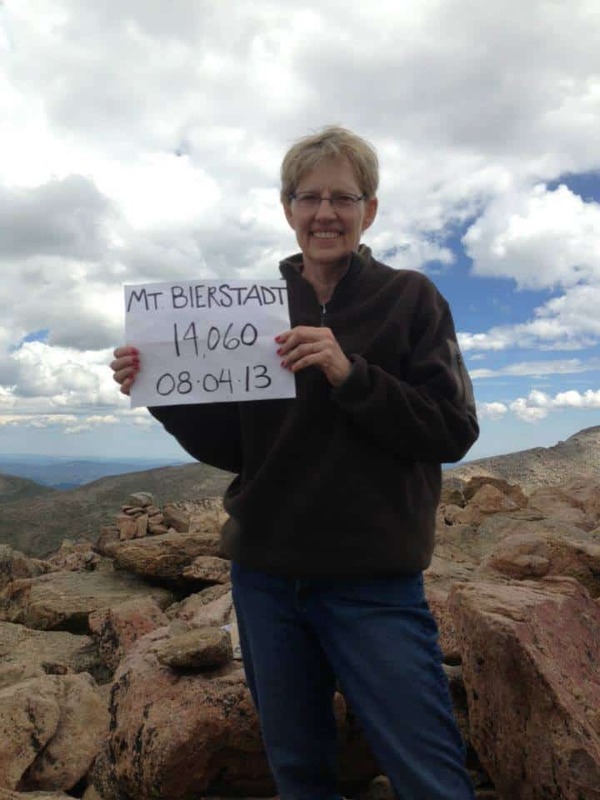 My husband picked one of the “easier” ones – Mount Bierstadt – to scale. We were on the road with Bruce’s high school friend who flew in from Anchorage for the reunion by 6:50 a.m., which meant we were late. It rains most afternoons in the mountains so you’re supposed to start much earlier and be off the mountain by the afternoon. Luckily, the rain headed in a different direction. Climbing the mountain and getting back down took a little under seven hours. While we dodged the rain, I didn’t avoid the altitude sickness. Bruce said I had the worse case he ever saw. After the severe headache and the nausea passed I thought I was done, but I could not sleep at all that night. I tried. I finished my book, This Town, and then I read through the New Yorker I brought, but I was still wide awake. I finally got up and Googled insomnia and altitude sickness and discovered that it can cause sleeplessness. It’s a good thing that I hiked a week ago because this weekend I broke three bones in my left foot while I was walking our golden retriever! Finally, I want to give a shout out to Karen Herbst and her husband Rich, who hosted a lunch in my honor at their home (in the Cherry Creek School District.) When Karen, who is a college consultant, heard that I was coming to Denver, she invited college consultants in the area to attend. I wish I had thought to take a picture. It was a fun group. Congrats on the 14’er, especially coming from sea level. It’s tough. I have a thought to throw in though on the schools and Race to Nowhere. As I sit here listening to my daughter fight through an on line language course ( on top of her fully loaded high school AP schedule, and after an evening of soccer practice …) I fully feel the weight of it coming down. There are days she leaves before I do and isn’t home until nine or ten at night. Yet, I see no way off this tread mill, for, these students really are in an all-or-nothing competition. It’s not just about the Ivies. In fact I think the Ivies are a distraction from the real issue. It’s about getting into a school that has a good program in your desired field. It’s about that slim, almost noon, chance of getting a few scholarship dollars that might make the difference between going to an “A” level state school, and a “C” quality community college. Example, I graduated about the time your husband did. In my graduating class there are mill workers, store clerks, a couple of mechanics, a couple of career military, three or four teachers, and one scientist. No lawyers. No doctors. No producers. No Forbes list. By all measures that people use in this country, my high school produced no successes. It’s hard to convince kids about a “Race to Nowhere” when the finish line looks like that. I don’t think the prospects are grim as you suggest. The reason why so many attendees at this reunion are successful — and we don’t know about the no-shows — is because they came from upper-middle class and wealthy families. These children are much more likely to make similar salaries to their parents regardless of how they perform in school. Our nation does not promote upward mobility. The guy on the Forbes list, by the way, was born into his rich family and Bruce says he never graduated from college. Remember that about 75% of students get into their No. 1 choice school. It’s not necessary to get into the three dozen or so schools that everyone thinks they need to crack to have a successful career. I certainly do not think this is an all-or-nothing competition. All the Colorado Consultants loved meeting you and enjoying your wisdom for the afternoon. Thank you for joining us. It is true that there’s a huge degree of peer pressure to perform at Cherry Creek High School– in many regards. However, I do believe that there is balance to be found, too, among lots of the families. The best news is that the majority of the students I’ve known at Cherry Creek High School are remarkably level-headed and collaborative. As parents, the great feat will be for us to encourage our children to challenge themselves in healthy and appropriate ways while resisting the urge to be guided by what the neighbor is doing. Thanks Karen. Wise advise. By the way, I got the scoop about freshmen taking calculus at Cherry Creek when we had dinner with Bruce’s friend from high school.